Custom colored bows for Halloween! My oh my have we been busy!!! Busy doesn't even begin to explain what's been going on over in the Main house. Etsy order after Etsy order came pouring in (to our happy joyful surprise) and we've spent the last 2 solid weeks cranking them out. The most popular? Our Hello Kitty Inspired Bows! I kid not, as I was finishing up one order another one came in. It was so neat! And the colors you guys choose! SO FUN!! My favorite though, would have to be the black and orange ones we did for a girl who will be using them for her upcoming Halloween party! Please send us pictures!!! I'm dying to see them! <--Get it? Dying...nevermind. You can view these and purchase them, here! 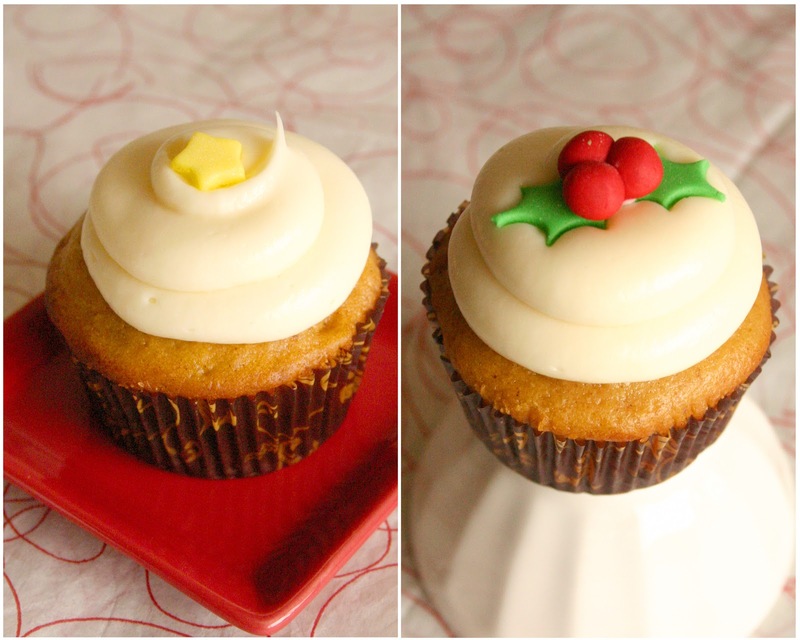 These would look so cute on top of a Christmas cake or cupcakes! ...What? No such thing?..